Stamp re-org – so close! I am so very close to being done! 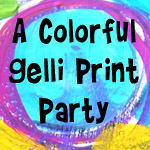 I need to print some labels for the binders and boxes and finish up stamping my wooden stamps. I decided NOT to stamp certain ones – like I have a whole drawer of little scenic elements (tufts of grass, sandy hills, rocks in a stream, etc) and I know I would want to look at ALL of them so I don’t see the point of stamping them to add to different sections of the binders because I am very unlikely to use them unless I am stamping a scene. I also have a very small pile of unmounted stamps that I need to mount. Otherwise, I am done. 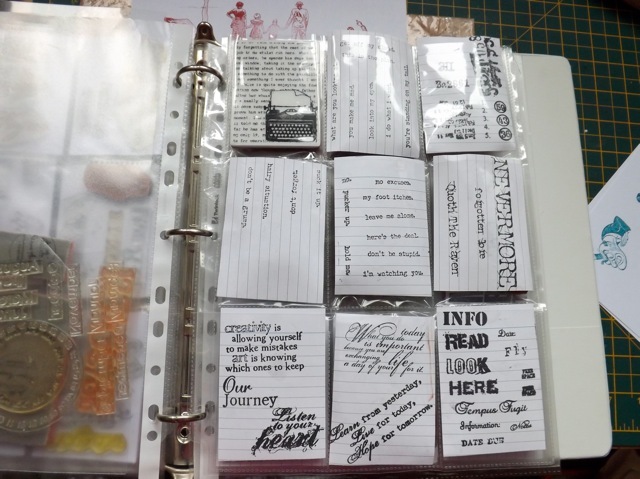 I’ll do the labels for each binder – what I have is three of stamps and one smaller one of text and sentiments. 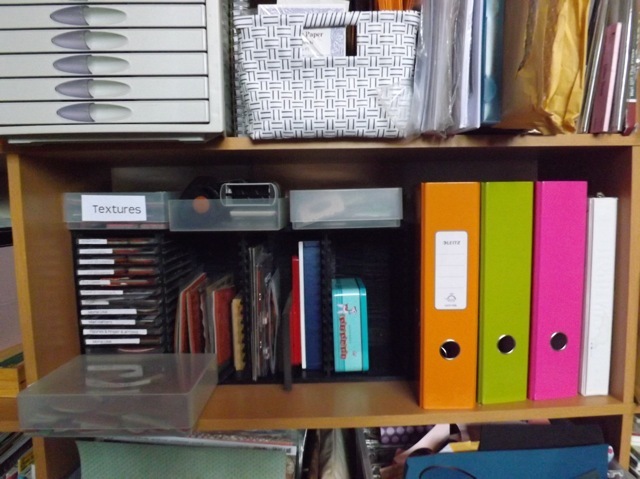 I still have my boxes, too – one with my stamp tool stamps (like the Stamp Around the Page stamps, and the stupid roller stamp think from Fiskars – god I hate that and wish I had never spent the money on it but can’t bring myself to throw it out or sell it on. I just use the stamp sheets on a mount), one with all my STEAMPUNK images, and one with all my texture/background stamps. You can see them above the CD cases in the photo. The CD cases have stamp sets or groupings that I don;t use often, like the Mona or Alice stamps. The big backgrounds are all in a group, like my 6 x 6 overall patterns. The baseball card sleeves worked a treat for this! I can immediately see like text and I have grouped them in ways that make sense to me. I also have stamped MOST of my wood mounts. 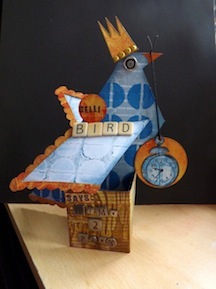 I grouped them too, but where there were stamps that went together I added the pair. For example, you can see I have the little monk trimming something. He is one the sheet with the MEN and also on the sheet that has the nuns. 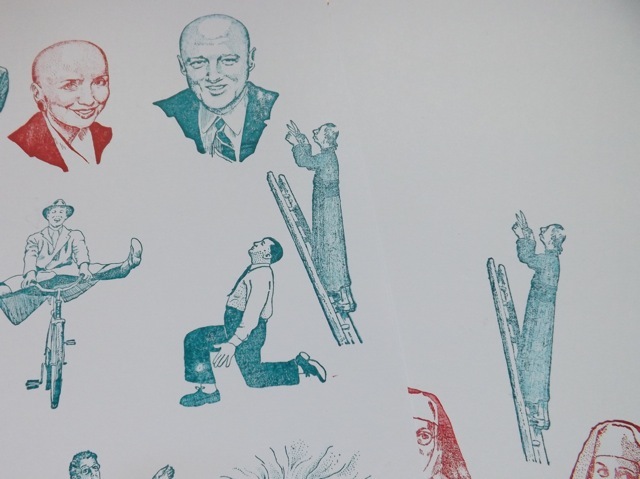 Likewise Bald Bill has Bald Hillary stamped next to him – just to remind me they are a matched set. 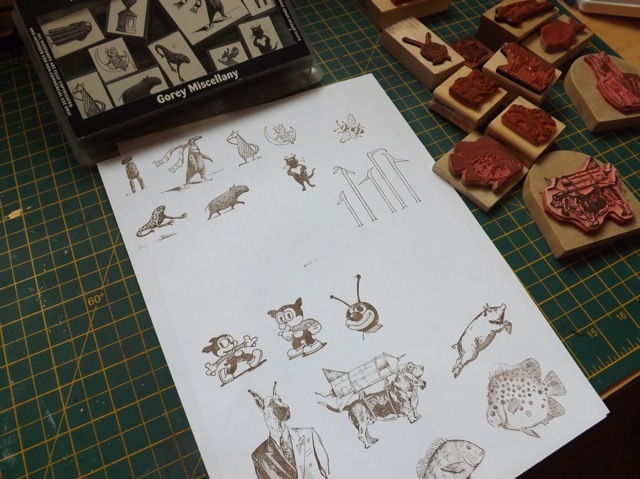 I am also grouping things on the sheet – I feel comfortable doing this with the wood mounts because I KNOW it is very unlikely that I will buy many more of this sort of stamp in the future. That makes me less concerned about “fitting in” new stamps that belong with an existing group. So for example, I often use the three crying girls together, so they are together on the sheet. 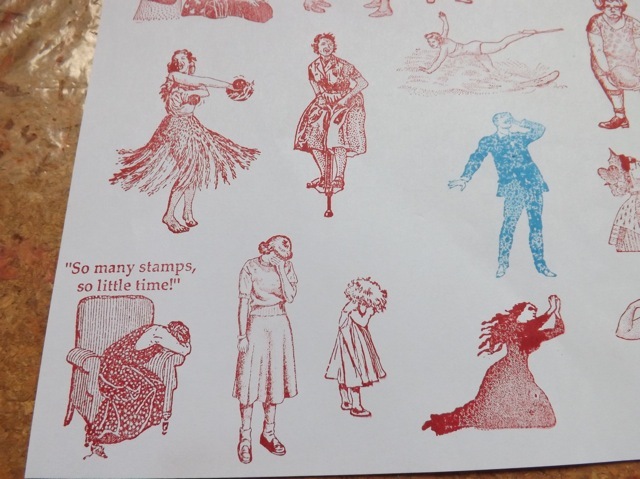 When I have a set of stamps I am stamping them in a group, like the Gorey set at the top here. I still have my alphas in a drawer. 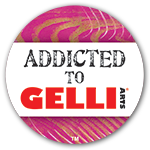 I thought about stamping a sample (maybe just A B C 1 2 3) and putting them in a binder, but again, it seems pointless. I would still go to the drawers and look at them. I’ve grouped them by SIZE where I can as that seems like it would be the criteria for choosing an alphabet. I also have all my Stampotique stamps in one large drawer. No need to change that, based on how I use them. Now I just have to decide if I want to tackle the mounting NOW or put it off for a bit. Having touched virtually every stamp I own, I am more anxious to USE them. Phew. That was exhausting, but very very satisfying!